A Little Post Grad Update - emma and co. I am not going to lie, this was a post that I originally wrote for another publication that was not published. Oh well- the work was put in, so this is going to be on my blog here. Additionally, I really miss the listicle type writing (shoutout to Her Campus Bucknell). I would also like to say that the photo below may be one of my favorites from last May. Habits | I did not realize I would have a life that requires waking up at 5:45 AM five days a week. Utilizing organization, reading and cooking regular meals are not only solid skills to have, but are pretty essential to live successfully. Coming home to a made bed, fridge full of groceries purchased on the weekend and organized living area make all of the difference, and save tons of time/stress. Forced to become a semi-morning person due to my schedule means that the weekends are treasured now, and that “sleeping in” is now 9 A.M. Coming home to a frat house isn’t “cute” anymore. Time | I wish I had taken greater advantage of my free time in college than I did, especially the first couple of years. Living in New York City, there are an endless number of things to do, people to see and money to spend (well, if I had money). While those opportunities may seem more heightened to me in NYC, I suspect the feeling is the same in most places people live postgrad. College students squander time, and then realize how precious an afternoon without work/class/chores can be. Having the time off between college and starting a job was critical for me. I worked last summer as a camp counselor, enjoying the sun thirteen hours a day and feeling like a kid. Even so, I should have savored it more! Money | One common criticism of the modern education system is the lack of preparation for one of the most important skills to have as an adult: financial management. I wish I had gotten into the practice of saving more, instead of draining my bank account shortly after my monthly allowance from my parents hit. On the flip side, I never truly knew the value of my money until I was financially independent and on my own. I have learned quickly that I am responsible for every expense, and I am trying to embrace the power that comes of saying no to a purchase. Friends | There is more of an even playing field in high school and college. Because there is a sense of commonality between peers- living in the same dorms, with the same schedule in the same town, it is easier to now feel like you are falling behind as much- everyone goes from one grade to the next. 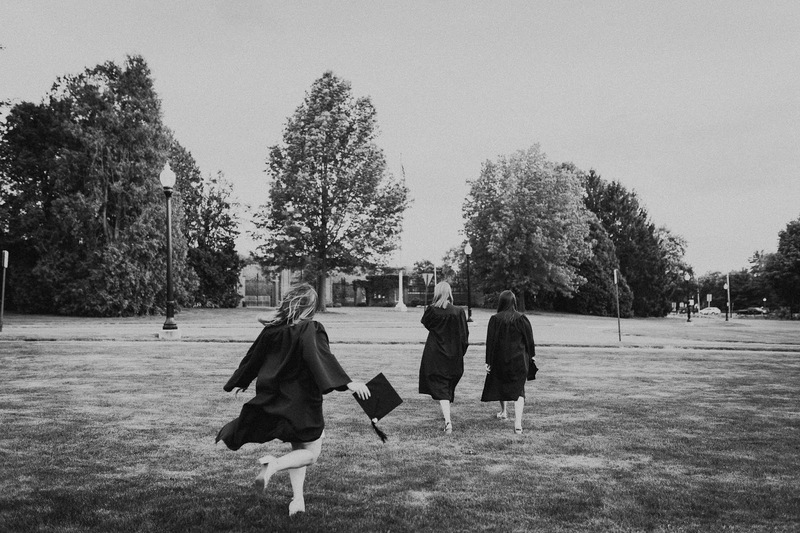 Following graduation, there is an initial divide of jobs, values and experiences. Some are volunteering across the globe, others are living downtown and grinding on Wall Street. Between parents “helping out,” fancy words that disguise entry level jobs and social media, everything can be a façade. Alcohol | Graduating from a fairly known party school, drinking heavily was something of a norm. Thursdays my senior year was a pretty popular night for my class to go to the bars. Though I love to go out for a drink or indulge in some wine on a Friday night, the reality is between the cost, time, energy and calories, the heavy drinking of college usually outweighs the pros. (This is also coming from someone who has told all of her junior classmates to live up their last year of this bliss, so take it with a grain of salt.) The real world, especially in a big city isn’t the kind of place that will walk you home and help find your keys. Going to school in rural Pennsylvania meant a lot less opportunity cost for drinking, but now in New York, there are so many things to do on the weekends (even if it’s catching up on sleep). Bottom line? Drinking like I did in college now is generally not worth it.